Provide comfort for the family of John Hood with a meaningful gesture of sympathy. 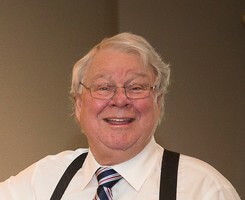 It is with sadness that the family of John Hood announce his passing at Centenary Hospital in Toronto, on March 22nd, 2019, at the age of 77. John was the loving, devoted husband of Alma (nee Hodgins) for 57 years. 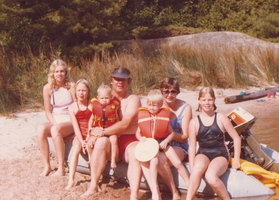 Dear father of Susan Hood (Roy), Sandra Goodwin (Brian), Janet Hood (Phil), Jo-Anne Ljubicic (Djordje), Richard (Valerie) and Marilyn Lunn (Duane). Proud Grandpa to Cassandra (Kyle), Callie (Mike), Kaitlyn (Josiah), Grace, Ethan and Madison, Milena, Dejan, Owen, Wesley, Brady and Cameron, Damien and Eloise. Great-Grandpa to Ellie and Lucy. John will be missed by his sisters Joanne (Willis-deceased) Walper, Diane (Barney) McCann, Janis (Bill-deceased) Ingram, Connie Brown, his many nieces, nephews, extended family, and friends. John is predeceased by his step sister Barbara Ross. John was a long time employee of Jarmain Cable TV (Rogers Cable) leading the Cable Industries success with his forward thinking and engineering developments. John took his cable knowledge and co-founded a very successful company called Comlink which was a leader in the Canadian communications industry. A long-time member of the Whitby and Grand Bend Yacht Clubs, as well as the Whitby Amateur Ham Radio Club. 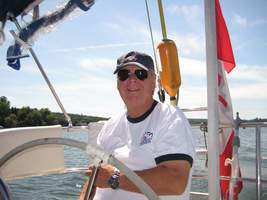 “Captain John” will be forever remembered for his love of sailing and racing on Lake Huron and Lake Ontario and his enthusiastic love for marine and ham radios. While his loss is overwhelming for us all, John would not want us to mourn; rather, he would look upon this as a great excuse for a social gathering with friends, music, and laughter. A service will be conducted at the St John’s by the Lake Church in Grand Bend on May 11, 2019 at 11am. interment to follow. A Celebration of John’s Life will be conducted where family and friends are invited to the Whitby Yacht Club on Saturday June 15th, 2019 from 1pm-5pm. In lieu of flowers, donations to the Whitby Yacht Club Junior Sail, 701 Gordon St, Whitby, ON L1N 5S4 905-668-1391 or the Grand Bend Yacht Club, PO Box 403, Grand Bend, On N0M 1T0 - contact olehammerberg@gmail.com would be appreciated. While his loss is overwhelming for us all, John would not want us to mourn; rather, he would look upon this as a great excuse for a social gathering with friends, music, and laughter. A Celebration of John’s Life will be conducted where family and friends are invited to the Whitby Yacht Club on Saturday June 15th, 2019 from 1pm-5pm. A service will be conducted at St John’s by the Lake Church in Grand Bend on May 11, 2019 at 11am with an interment to follow. In lieu of flowers, donations to Heart & Stroke foundation or Whitby Yacht Club Junior Sail would be appreciated. 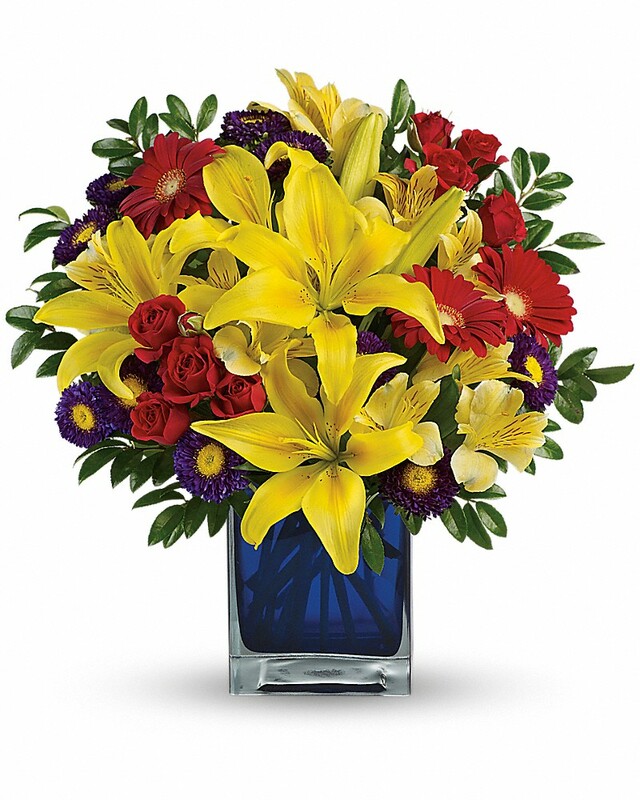 Provide comfort for the family of John Murdoch Hood by sending flowers. A long time business and personal friend from the Cable and Comlink days. Nothing but good memories--easy going, dedicated, determined, trustworthy, honest, utmost integrity. All words that describe John for me. He will be missed. Prayers to Alma and the family. Ken New John was a colleague of mine at Comlink for the 5 years I worked with him. He was always happy and fun to be around. John loved wireless technologies. He loved doing the math to see if certain paths would work. He loved work. He had passion for his projects and told many good stories about them. I can picture the mines at Falconbridge from his descriptions he gave me. It's never a good time to lose a friend. It doesn't matter how old they are. But I am happy for knowing him and my memories we shared will keep him alive in me. All the best John, until we meet again in the next life. Special thoughts and prayers to Alma and the children. May your memories provide you some comfort. Sending our love and prayers to Marilyn and family during this difficult time. Heartfelt Sympathies Store purchased flowers for the family of John Hood.